Nothing is above or beyond what you can achieve and we will coach you through everything you require to achieve your goals. Science-based, information-driven, laser-focused, all-encompassing programmes. Accountability at every step with precision methods, proven to maximise results. Work out in a natural environment, with über-motivating coaches & team-mates. Optimise your body composition and shape once-and-for-all & feel more confident than ever. We can help you be the very best version of you and feeling on top of the world; all on your schedule and in an environment that works best for you. In need of 100% focused, tailored programme and 100% laser-focused results? Goal Setting– This always drives the rest of the training programme so it is the first thing we establish. We look and indeed help you establish your short, medium and long-term objectives, so we can ensure your goals will be specific, achievable and properly targeted. Physical Testing– This depends on your goals, yet we often measure your body composition; lean muscle mass, body fat percentage and moreover, where exactly your stubborn fat areas are, using the 12-site Biosignature Modulation Method (analyzing more accurately your hormone profile). Comprehensive Fitness Testing– This will differ for what is appropriate for your level of fitness and your goal path (but may often include metabolic conditioning and/or cardiovascular (aerobic and/or anaerobic) endurance, flexibility, muscular strength and strength endurance (centered separately on the core, lower and upper body), power and structural balance. As a result of this session your coach will establish an exercise programme, tailored totally to you and from the second session onwards, you will work according to this plan, totally focused on achieving those goals of yours! Having an extensive variety of experience and qualifications between the PW team, Paddy will make sure you are working with the perfect trainer from the very start. All of Team PW’s personal training methods (with a system honed after 15,000 hours of experience) are unashamedly unique, exacting and all-encompassing, to absolutely guarantee you life-changing results in a minimum of 12-weeks. Results that you thought were simply not possible. Contact us your free consultation, today! Paddy Warwick’s Women-Only (with the addition of mixed groups before work) Bootcamps (now, BOOTCAMP2.0) have been an unprecedented success since starting in January 2011. Constantly improving and evolving the Bootcamps, after 12,000 hours of Bootcamp and personal training experience, rather than group training in the traditional sense, Paddy likes to call them ‘personal training for a group of individuals’. And that’s exactly what they are. All the tools are there and if utilised to their full extent, you can look forward to a personal transformation, like in no other group training environment you’ve seen. BOOTCAMP2.0 is not a ‘get-down-and-give-me-twenty’ military style Bootcamp (although there may be elements of that!). It is a precise, yet fun and friendly fitness programme, designed for progressive challenge. One of Paddy’s favourite phrases is “Progress, not Perfection”. 3 physical fitness and body composition assessment sessions – "What gets measured, gets improved"
Your investment in your health, fitness, mind and body depends ultimately on what's appropriate for you and your goal(s), something that will be discussed with us before starting. This will then allow us to determine the amount of times you would like to (and indeed should) train and how long to train for, in terms of weeks and/or months (we advise always a minimum of 12-weeks). The weekly PW RunClub started organically around Paddy’s Bootcamp team fundraising efforts for the relay marathon between Nice and Cannes, in 2013. Headed up by Paddy, with his scientific background and high-level sprinting experience, the sessions are all-inclusive, with all running abilities welcome, from total novice, to the experienced runners. The sessions vary between short-sprint repeats and track work to longer tempo sessions and off-road hill runs; in order to ensure variety and maximise progress with the once weekly sessions. Often used as a metabolic conditioning supplement to many Bootcamper’s weekly training schedule, non-Campers also sign-up for the 6 to 10 week courses. The team ethos, atmosphere and collective buzz on a morning, after having completed the latest workout from Paddy and the team is second-to-none. As has been proven though heart-rate monitored sessions, these sessions create a metabolic and cardiovascular workout like very few others and although post-RunClub power naps are an oft-seen phenomenon in the PW ranks, one thing is for sure: There is no better to start your weekend in Mougins or your week in Monaco! What better way to get stronger, leaner and fitter than in the great outdoors with your friend(s) or partner. This method of training for 2 to 6 people, has become very popular with Paddy and the team over recent months. The perfect combination of the more personal nature of one-to-one training, with the group dynamic, energy and joint-accountability of other training buddies working towards very similar goals. We often insist and indeed establish from the start that your training group has if not identical training and/or body goals and fitness capabilities, then very similar. The small size of the group, whilst enabling more one-to-one attention and modification, means it is important that we enhance the streamlining of this training format by focusing on semi-unified goals. So, if you have a friend (or five!) that are after the same goals and are of similar physical and fitness capabilities, then this my friend is just what you are looking for. Contact us for more or for your free consultation, today! Qualified through the University of Bath Sport & Exercise BSc programme and Precision Nutrition’s Sport and Exercise Nutrition programme (amongst other qualifications) and being an avid hands-on researcher (noting each and every statistic from eight years of clients’ results) and scientific-reader, Paddy (and now, his team) is on the cutting edge of nutritional coaching. Well-informed nutritional advice underpins the multi-faceted Paddy Warwick Personal Training philosophy. All of Paddy’s most successful client transformations have been achieved by those who have adopted the PWPT philosophy; that real results come from 20% training and 80% nutrition. It is for this reason that Paddy invented the PowerPack© and Power Breakfast© Eating Plan that all Bootcampers receive when starting a PW Bootcamp, alongside a 21-day eating plan that is constantly refreshed and renewed, three times yearly. These eating plans have shown results time and time again for those that view it as a lifestyle change and not a ‘diet’. It is this philosophy that Paddy and the team try to instill, not necessarily through the aforementioned eating plans but more through gradual (sometimes accelerated) habit modification. Understanding that Rome wasn’t built in a day, and habits (particularly nutritional) can’t be changed overnight. On a one-to-one basis, Paddy can filter quickly through to the habits that are in need of focus and set about laying out an effective programme to bring about a meaningful and lasting change. The exercise you do creates the chemical and physiological stimuli for change. It is your nutrition which is the defining factor in whether you ultimately achieve the desired results from your fitness programme. The correct ingredients to supply the change is nearly always the ‘make or break’ in any successful health and fitness regime. You can train as hard as you like, but unless you are eating correctly, you will not see any changes. You cannot out-exercise poor eating habits. Again, a huge foundation to the PWPT philosophy. Optimising your nutrition is more than just ‘you are what you eat’. It involves not only monitoring what you eat, but understanding what is absorbed and used by your body, and regulating the size and timings of your meals and snacks. There is no ‘one-size-fits-all’ because everyone is biochemically unique. Although many principles apply to all humans, the optimal levels of nutrition will vary from person to person. Paddy and the team utilise current scientific knowledge, a wealth of results-driven feedback and experience, and the principles of evolutionary dynamics to provide you with accurate nutritional advice and a personalised diet plan (if needed) or a series of habit modifications alongside your training programme. Popular ‘fad’ diets (e.g. ‘Atkins’ and ‘Zone’) can get immediate results, but rarely, if ever, introduces lasting change. Inevitable relapses to old eating habits soon overturn any short-term gains. Paddy’s philosophy with regards to nutrition – and exercise equally – is to encourage and facilitate a life-time of change and long-lasting, autonomous health. A non-invasive body composition analysis used to aid in spot-reduction (location specific) fat loss. 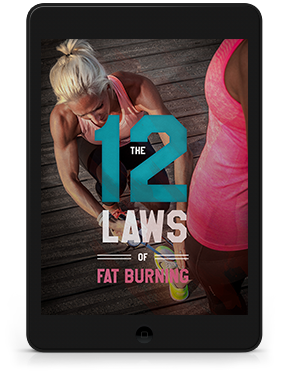 A 12-site body composition modulation is performed to determine your individual hormone profile and make adjustments (or wholesale changes, if needed) to your nutrition, supplementation, lifestyle and exercise habits. Do you have difficulty shifting fat from one particularly troublesome area? For example are you happy with your upper body but can’t seem to reduce the size of your thighs and bum? Or does your 'muffin top' refuse to budge, no matter what you do? As a fully-qualified Biosignature practitioner, Paddy can quickly and accurately determine why you have these problems using just a pair of quality skin calipers and specialised Poliquin training software. A true problem area is indicative of your unique hormone profile and unfortunately, countless sit-ups and tricep kick-backs will not change the relative fat levels in these areas. Biosignature Modulation goes beyond standard body fat testing. The concept was developed by Charles Poliquin, a strength coach to Olympic medalists in over 17 sports. Practitioners locate the fat stores on an individual’s body and use Biosignature Modulation to determine their unique hormonal profile. Analysing this profile will reveal the reasons for certain fat stores. For example, if you carry a high percentage of your body fat on your upper thighs, the underlying problem may be related to your oestrogen levels and/or your body’s ability to excrete oestrogen. However if your fat is mainly around your lower abdominal region, it may indicate an imbalance in the stress hormone cortisol. Interpreting your results and using additional information from your consultation, Paddy can design a bespoke programme of nutritional, exercise and lifestyle modifications, accompanied by a targeted supplementation protocol to effectively manage your hormone imbalances (this programme is as an extra, in addition to your Biosignature Modulation). By using Biosignature Modulation, Paddy leaves nothing to chance, as your unique Biological Signature is determined and addressed. Regular follow-ups are recommended (but not compulsory), in order to monitor your progress and identify how your hormones are responding at each stage. If you are on a programme intergrating these measures, we’ll also use these check-ups to adapt your programme accordingly. The result is improved performance in all areas of your life – physically, mentally and intellectually. By following your personal plan, you will emerge leaner, stronger, happier and more energetic. Periodically throughout the year, the PW team hosts 6-week courses for teens (13-17 years), minis (5-7 years) and juniors (8-11 years). The first aim of these sessions is variety and fun for each age group: Broad and inclusive fun. Providing an active alternative to sedentary and/or less structured, inclusive sporting pursuits on a Wednesday afternoon. Combining the fun and varied element encourages a less sedentary and more active lifestyle outside of these sessions and in to later years – translating in to lasting habit change. Activities such as parachute games, ball skills, jumping, throwing, running, weightless kettlebells and dumbbells and other fundamental movement based activities for the minis AND more advanced correct lifting, pressing, rowing, running, striking and bodyweight movements for the juniors and teens, ensure the sessions are constantly changing. The courses have a fundamental underlying focus on correct movement patterns throughout childhood and adolescence. Consistently good mechanics translates to physical literacy, enhanced sports performance and fewer sports injuries for kids. Not only that, a vast body of research indicates that exercise is beneficial to cognitive function, which means consistent adherence to the program can have a positive impact on children’s academic achievement. We talk weekly about the basics of sound nutrition to encourage healthy decisions outside of these once weekly sessions. The importance of hydration, a healthy breakfast, healthy snack choices and moderation in all aspects, is discussed openly with each group in a scaled fashion (appropriate to that group of children’s knowledge and age). If you do not live on the Côte d’Azur but you still wish to benefit from the world-class training methods and expertise provided by Paddy Warwick then we can still guarantee results through the PWPT Online Training Programme. ONLINE TRAINING AT PWPT IS UNLIKE OTHER ONLINE TRAINING PACKAGES YOU MAY FIND AROUND THE WORLD. WHY? Because our focus is unwavering in the quest for creating the perfect programme and attaining the most effective results for you. For this reason, Paddy only asks “doers” to apply and 100% commitment is an absolute necessity. For this to work for you, you must be focused, disciplined and dedicated to getting the most out of your programme. Our Online Training clients can be literally anywhere in the world (as long as there is internet connection!). Dubai, Qatar, Australia, Germany, the US, the UK; wherever your life or work may be based. Most recently, Peter from Dubai has transformed himself (see the client stories section of the site) and his life through PWPT’s Online Training. An initial Skype consultation after an exhaustive nutritional, exercise and medical history audit has been conducted. A fully-customised exercise programme and nutritional plan that is both simple to integrate into your daily life, but also challenging and dynamic. Every workout of the week is meticulously planned, right down to the weight, repetitions, rest intervals, exercise variations (all of which may change from workout to workout). A lot of hard work and dedication but unparalleled results at the end! Paddy believes everyone is an athlete. Whether you know it or not, if you have a body, you’re an athlete. And Paddy’s driving force is to empower athletes (as in, YOU!) 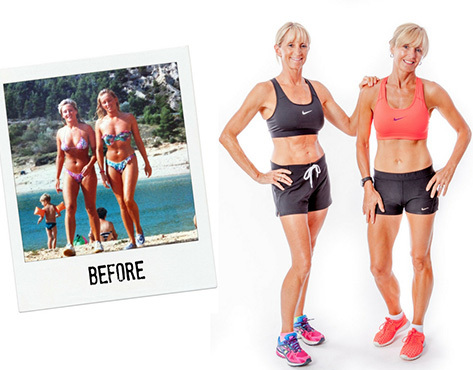 to take control back in their lives through the power of fitness and health. Paddy’s impressive CV clearly demonstrates his passion for what he does and the expertise that underlie it all. From a young age Paddy exhibited an aptitude for excelling in his own personal sporting endeavours. At 16 he was part of the England Schools athletics team running the 400m. He went on to play rugby for the Ireland Under-21 international team and spent a further 5 years playing professional rugby in Wales, England, Australia, Italy and most recently in France. His BSc(Hons) in Sport and Exercise Science from Bath University was ranked #1 in it’s field for 7 of the last 8 years. Since graduating, Paddy has continually added to and refreshed his qualifications to ensure everything he says, does and advises is solidly based in scientific learning and is at the cutting edge of current practice. This philosophy is actively encouraged within the PW Personal Trainer team. Paddy is a fully qualified ‘Biosignature Modulation for Fat Loss’ coach, PCIP Level 1 & 2 Strength and Conditioning Coach, Active Release Therapy Coach and ‘Precision Nutrition Sport and Exercise Nutritionist’. Since founding PWPT, Paddy has amassed over 12,000 hours of Personal Training contact time, with clients in all walks of life – international rugby athletes, mothers, busy executives and just about anyone who is looking to fulfill their potential; although, it has to be said, his favourite client is a 100 year old lady who he still trains once a week (yes, she’s 100 years old!). Right that’s enough of that, now it’s Paddy’s turn to learn about you and how to get the very best out of you…Contact us today and let’s make it happen. 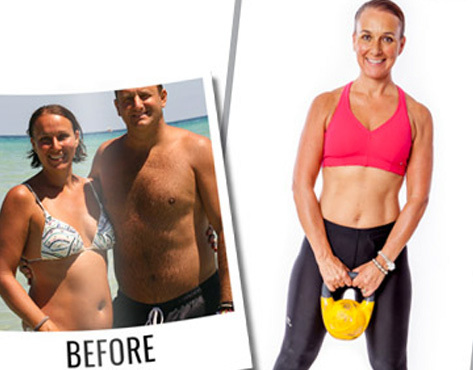 Your forever-dreamed-of, finally-within-reach transformation is just an email or a phonecall (0617496641) away. Since joining Team PW in 2013 as an apprentice trainer, Danny has been an emerging star. Hailing from Chile (yes, as in, South America), by way of Santa Barbara, California, Danny has brought his own unique, laid back, friendly style (with an authoritative edge, of course!). With a background in boxing, kickboxing and wrestling, Danny qualified Stateside as a coach, after finding a passion for helping people reach their fitness goals. 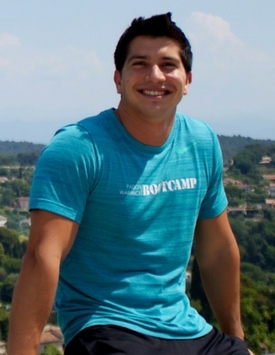 He came over to France to finish off a degree in International Business, joined a PW Bootcamp as a Camper himself, and was quickly snapped up for his highly personable attributes and charm, self-discipline and obvious ability to lead. Danny has not looked back since! He is now a superstar Bootcamp trainer and guru-kickboxing coach. Although Danny specialises in martial arts, he is also a very successful personal trainer, in terms of getting results – having a great ability to hone in on what it takes to get the most out of each individual. 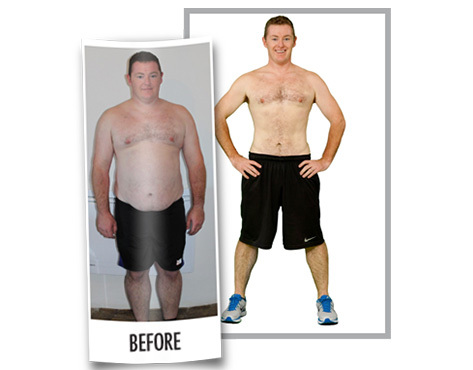 He has personal trained several clients to make amazing transformations of their own in the last 12 months. Let Danny help you be the best you can be, contact us today for your free consultation. The newest recruit on the PW team, Emma heads up the personal training section and in the year since leaving her job as a (would you believe it?) primary school teacher, she has fans all across the coast, rave reviews and most importantly, a humongous stream of consistently excellent results and success stories. Emma’s infectiously sunny disposition and non-stop positivity is a one-in-a-million thing to behold and Emma uses this to get the most out of her ‘charges’. Being an ex-international level hockey player, as well as an accomplished swimmer & athlete and having studied for her BSc (Hons) in Sport and Exercise Science, Emma also has a vast skill-set, knowledge base and experience.Having further qualified as a Personal Trainer, TRX Trainer and Pro-active (sounds serious, right? ), Emma’s ability to appropriately personalise programmes to attain laser-focus results, is already at an elite level.Combine this with Emma’s über-positive vibes, her love for helping people and being a devil for details, Emma is quite frankly a superstar trainer (even if we are biased). 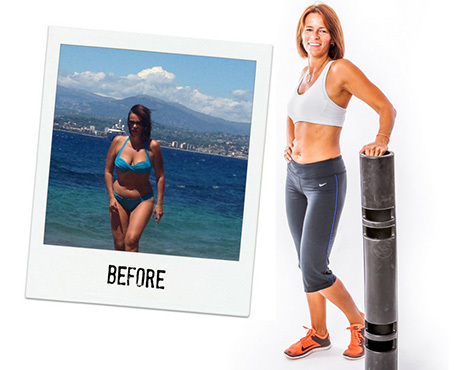 See what Emma can do for you, book today and receive your free consultation.